What is the Wildlife Justice Commission? We are an independent, non-for-profit organisation operating globally to disrupt and help dismantle organised transnational criminal networks trading in wildlife, timber and fish. We do this by collecting evidence and turning it into accountability. What is the objective of the Wildlife Justice Commission? Our objective is to activate justice. Sometimes this happens immediately, while other investigations take longer if they require extensive national dialogue or even a Public Hearing. How does the Wildlife Justice Commission work to activate justice? Research and investigations: We conduct in-depth investigations that result in a Case File. The Case File is a very detailed and highly actionable case file that maps out the entire criminal chain, which national law enforcement authorities can put to immediate use. The Case File includes a detailed description of the criminal network(s) involved, detailed subject case files, evidence of crimes committed, expert witness statements, prices and quantities of wildlife products trafficked, and specific actionable recommendations. Case File: The Case File is reviewed by two members of the Independent Review Panel – an independent panel consisting of highly respected international lawyers, judges, law enforcement experts and journalists. Cooperation: The Case File is delivered to the relevant national authorities in the spirit of cooperation, with a request for activation of the rule of law. National dialogue: If the relevant national authorities are unresponsive, we work with our Ambassadors and other stakeholders to first convince and, if necessary exert background pressure, on the authorities to act. Accountability: If action is still not taken, the Wildlife Justice Commission will convene a Public Hearing during which the Case File will be presented for review by the Designated Independent Review Panel. This is a measure of last resort aimed at shining a spotlight on the criminality and insufficient efforts to counter it by national authorities. Decisions and recommendations: Based on the decisions and recommendations issued by the Designated Independent Review Panel, the Wildlife Justice Commission’s Ambassadors will seek to get the national authorities to take the required action. If necessary, the Ambassadors will find ways to leverage pressure. Ultimately, the rule of law is activated and perpetrators are brought to justice. All of this is laid down in our Rules of Procedure. What makes the Wildlife Justice Commission different? Our investigations are evidence and intelligence driven. Other organisations prepare reports while we prepare a Case Files that provide enough detail that they could be used directly by prosecutors to initiate investigation or prosecutions. We then engage in an extensive national dialogue process to convince – or if need be pressure – governments to enforce the law. If that still does not result in action, we have the possibility of presenting our evidence publicly during a Public Hearing before independent, impartial experts. The evidence is in an international peer setting, which makes it increasingly difficult for a country to ignore, and recommendations can be made about how the international community can help to activate justice. Does the Wildlife Justice Commission operate alone? The Wildlife Justice Commission cooperates and works closely with other NGOs, IGOs, governments, industry and private individuals such as academics and investigative journalists to add another level to the fight against wildlife criminality. Ultimately, given the volatility of wildlife crime, there is no single route to eliminating wildlife crime thus we provide an additional dimension to the existing global effort. Is the Wildlife Justice Commission a state or government body? The Wildlife Justice Commission is an independent, not-for-profit organisation/charitable foundation incorporated under Dutch law and operating globally. Are the Independent Review Panel members independent? The Independent Review Panel is made up of high-level individuals who have no direct connection to the Wildlife Justice Commission – they do not receive payment for their work (beyond reimbursement of expenses incurred while attending the Public Hearing). They have been asked to examine the Case File with a critical eye, and to form their opinions based solely on the facts that have been presented to them. Will the Wildlife Justice Commission be a separate international criminal court? The Wildlife Justice Commission does not operate as a court. We do not have the power to order arrests or impose penalties. However, the results of our investigations could well be used to initiate criminal proceedings by law enforcement agencies and prosecutors, as the quality of our evidence meets the highest standards. Is the Wildlife Justice Commission an NGO or activist organisation? 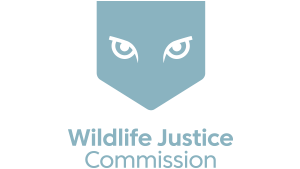 The Wildlife Justice Commission is an independent, not-for-profit organisation incorporated under Dutch law and operating globally. Our focus is the activation of justice. Is the Wildlife Justice Commission a real international body? The Wildlife Justice Commission was not created by governments; it is a not-for-profit organisation that operates globally to disrupt and help dismantle organised wildlife crime networks by building on existing collaboration, efforts and expertise in combating wildlife crime. Does the Wildlife Justice Commission investigate environmental crime? Wildlife crime, in addition to habitat destruction, is one of the biggest drivers of biodiversity loss. The Wildlife Justice Commission investigates wildlife crimes, such as the illegal poaching and trafficking of endangered species, illegal fisheries, and illegal deforestation. When was the Wildlife Justice Commission founded? The Wildlife Justice Commission was registered at the Chamber of Commerce as a charitable foundation under Dutch Law on 4 March 2015, with its headquarters in The Hague. The Wildlife Justice Commission was designed and developed by leading experts from the field of international criminal justice and law enforcement and conservation. What is the future for the Wildlife Justice Commission? The Wildlife Justice Commission will continue to investigate wildlife crime – to the maximum extent possible with given resources – until illegal trade in wildlife has been stopped. Does the Wildlife Justice Commission make its evidence public? The Wildlife Justice Commission runs multiple investigations simultaneously. We maintain strict confidentiality during the investigation phase in order to preserve the quality of the evidence obtained. Once the investigation is completed, and if a Case File has been produced, certain aspects may be publicly disclosed. Does the Wildlife Justice Commission look at individuals, countries or both? Both. In targeting the wildlife trade channels and supply chains the Wildlife Justice Commission investigators must look beyond borders, and investigations drill into the detail of the specific individuals involved. Ultimately, it is up to governments to enforce the law. How does the Wildlife Justice Commission determine if a national procedure has failed to the extent that a Public Hearing is determined necessary? The Public Hearing is a measure of last resort if other efforts to activate justice have not been successful. We have guidelines, prepared in accordance with our Rules of Procedure, that help us determine if we need to move to a Public Hearing.